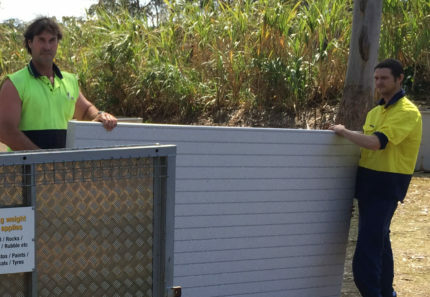 Disposing organic waste is a problem that every Brisbane household faces. According to the NGER technical guidelines, food and garden organics make more than 50% of a typical Australian household rubbish bin. 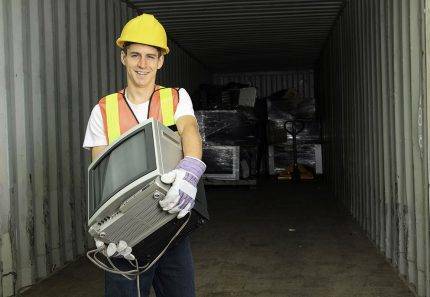 The break down shows the following materials: food organics (35%), metals, plastics, glass and other inert material (28%), garden organics (16.5%), paper and cardboard (13%) and other organics and residuals (7.5%). With these findings, it’s not surprising for me to have so many enquiries from residents looking for garden bags in Brisbane. They are indeed a great way to remove organic waste. However, there are many other options at hand. Today we will look at the FOOD AND GARDEN ORGANICS, Best Practice Collection Manual which was prepared for the Department of Sustainability, Environment, Water, Population and Communities to see how they suggest organic waste be handled. 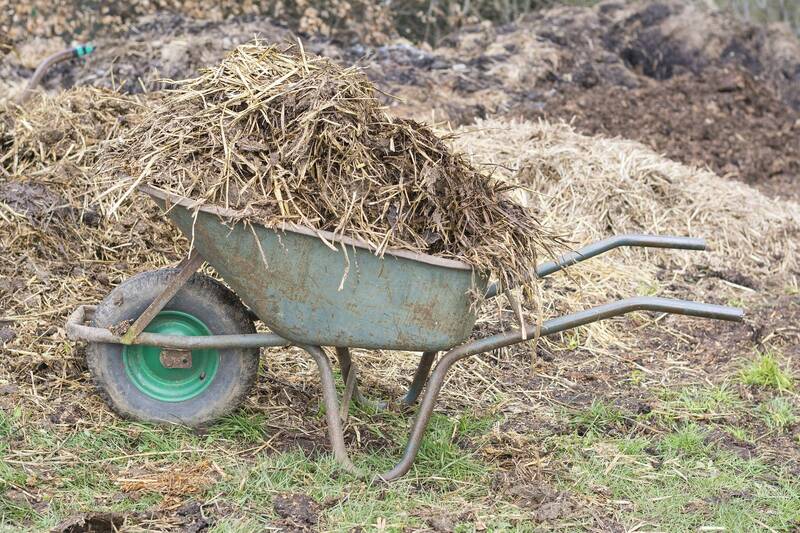 Kerbside collection of garden organics has been introduced by the local Brisbane councils. With these bins, you can easily dispose of garden waste in the council’s fortnightly collection. Kerbside collection of food organics separately from garden organics is not really prevalent in Brisbane. Most local councils opt to combine the collection of food and garden organics in a single container. This increases the yield of organic waste collected without requiring an additional collection run. However, it is recommended that food and garden waste should be collected separately. This is because garden waste can be processed relatively easily, while food waste requires expensive enclosed processing technology for processing. If these two types of wastes are combined, the only way to recycle them is together using expensive enclosed systems. 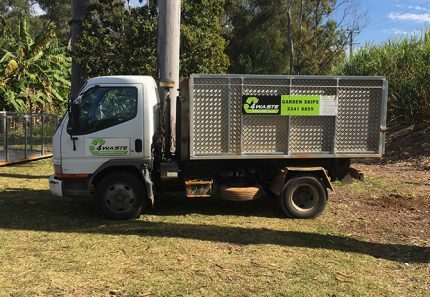 If you’re looking for a hassle-free way to dispose large quantities of organic waste in one collection service, then consider hiring 4 Waste Removals’ garden bags in Brisbane. Our garden bags consist of a large hessian bag fitted onto a metal frame and are 2.5 times bigger than council bins. This allows you to dispose more waste in one go. Hiring garden bags in Brisbane is very simple. All you have to do is place a request with us and a garden bag will be delivered to your location. Once your bag arrives, you can fill it up with your garden waste and we will collect and dispose of it for you depending on your collection scheduled. Unlike the council bin service, our garden bag service is very flexible. You can choose from our one-off collection, monthly collection; in which waste will be collected once every four weeks, bi-monthly collection; in which waste will be collected once every eight weeks or our quarterly collection; in which waste will be collected once every 3 months. Do note that you will need to dispose a minimum of 3 service bags if you choose our monthly, bi-monthly or quarterly collection service. Our garden bags are an excellent alternative to kerbside collection. You get the flexibility of choosing your collection schedule and our service is able to accommodate much greater volumes of waste than the kerbside collection. No wonder so many homeowners choose our garden bags in Brisbane. When it comes to disposing organic waste properly, you have two options on hand – kerbside collection or garden bags in Brisbane. With kerbside collection, you can choose to dispose either your garden waste, or garden waste along with food waste. However, this service is not very flexible and collections take place once every fortnight. On the other hand, with garden bags, you can dispose all organic waste in one collection service. Moreover, garden bag collection is much more flexible as compared to kerbside collection. 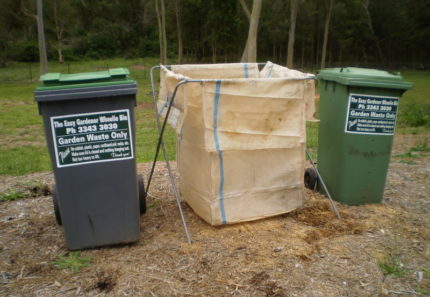 If you’d like to hire garden bags in Brisbane, look no further than 4 Waste Removals. We offer cheap and reliable garden bags for hire which are perfect for disposing any kind of organic waste. Get in touch with us to hire a garden bag today!